Tech/Life Ireland, a new national initiative to brand Ireland as a top destination to pursue a career in technology was launched on Monday. The initiative, funded by the Department of Jobs, Enterprise and Innovationand will be delivered in partnership with Enterprise Ireland, IDA Ireland and the tech industry to help attract up to 3,000 top tech professionals to Ireland each year. Tech/Life Ireland is a focused international marketing initiative with a dedicated website, www.techlifeireland.com, to attract talented and experienced tech experts to Ireland and to promote top tech career opportunities here. The initiative uses digital and social media to showcase the unrivalled lifestyle, tech environment and job opportunities available in Ireland. Initial target markets include countries in Central and Southern Europe. These have been identified based on detailed analysis of talent movement, local search activity and consultation with recruitment professionals from industry. Minister for Jobs, Enterprise and Innovation, Mary Mitchell O’Connor said the Tech/Life Ireland campaign is focused on attracting top-end professionals to work and live in Ireland. “If we are to continue to win overseas investment in ICT-related jobs, and to grow the strong base of Irish-owned companies in ICT and related areas, we need to ensure that we have a sufficient supply of talent to meet the needs of enterprises. The growth we are seeing in ICT employment requires us to supplement the supply of our own excellent graduates with overseas talent. Karl Flannery chief executive of Storm Technology and Chair of the Tech/Life Ireland delivery group said industry and government recognise the need to attract top tech talent to work in Ireland. The Tech/Life Ireland brand was developed based on extensive interviews with international tech talent to understand their motivations for relocation – key themes of Job Challenge, World-Class Peer Group, Career Scope, and Diverse, Positive Workplaces were emphasized throughout. The techlifeireland.com website and digital platforms like Twitter andLinkedin will provide information about the tech environment and careers in Ireland, as well as practical advice about moving to Ireland and its lifestyle benefits. • A set of case studies of foreign workers in Ireland’s tech sector and their positive experiences in the country. • Regular updates from Ireland’s top tech influencers on developments in the tech community. • Valuable quarterly reports for companies based on industry research. • A live tailored feed of current tech job opportunities in Ireland. • Profiles of leading tech companies. Ireland employs over 80,000 people in ICT companies and employment grew strongly over the period 2009 to 2015. In 2013, the Expert Group on Future Skills Needs identified significant demand for ICT skills in Ireland. This demand for ICT talent relates not only to the software sector, but also to other sectors such as financial services, business services, retail and high-end manufacturing. Recent jobs figures suggest that ICT employment is growing faster than previously forecast. 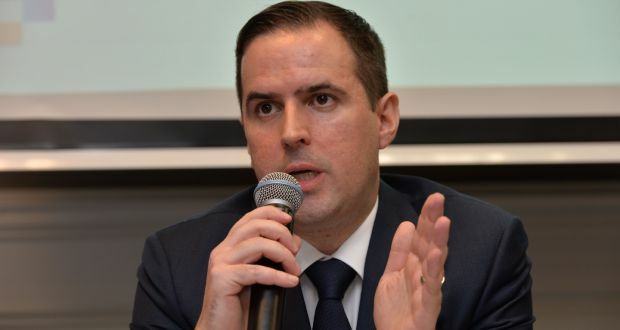 Martin Shanahan, chief executive of IDA Ireland, said Ireland has become a global technology hub attracting the strategic business activities of ICT companies.